Take Your Stacking To The Next Level! 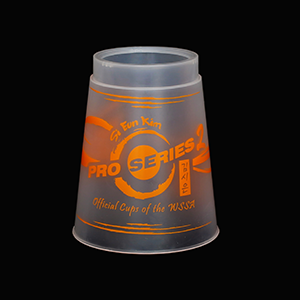 Pro Series cups are endorsed and signed by World Champion Stackers. Developed in conjunction with the world’s top stackers, they include special features and are approved by the WSSA for competition use. Available clear, they also feature the patented Quick Release stem.